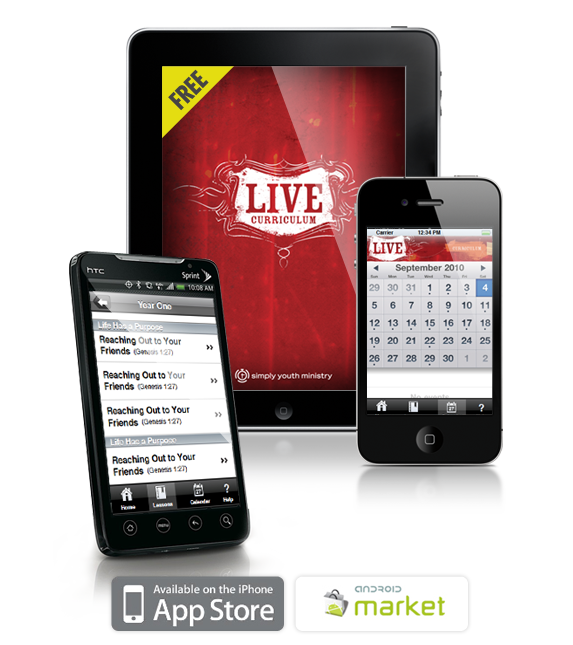 Lead Small App: IT’S FREE! Give some love to those hardworking small group leaders, get this app in their hands ASAP! 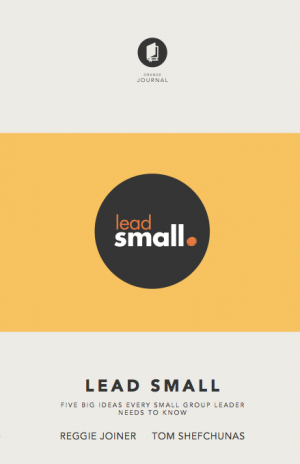 We (student pastors) have been waiting for something like this for years and now those over at Orange have gone and done it, they have created the “Lead Small” app free for small group leaders to use. My leaders are using it every week! Database for all my students info and prayer requests? Check. One click to send a text to everyone in my small group? Check. Additional training to make me a better leader? Check. I use the app during every SGL meeting to review the topic for the day and the small group questions. This thing is synced with our curriculum months in advance, it’s a time saver and super clear on what the SGL needs to do. Churches have the option to subscribe for a small fee to customize and make content and newsfeed their own. Even if your small group leaders simply use this as database to keep in touch with their few and their parents, this thing is a game changer! Go download it and geek out with me on what we’ve all been waiting for! Let’s play out a mock scenario. You are alone in ministry and are presented with the option to provide a dynamic large group program that dozens of students enjoy attending OR recruit and equip other leaders to provide small groups for the same group of students. Large Group or Small Groups? And you can only choose one. This may not be the current reality of your leadership position or church, but depending which one you choose in this mock scenario says a lot about your ministry philosophy and how you will execute that philosophy. Perhaps you do offer both the large group program and the small group model. One of these will receive more planning this week than the other. One of these has a larger budget. One of gets more time and attention. Why did I create a mock scenario for you? Because it’s easier to think that this is a pretend situation rather than a reality that happens every single week. Every week you will choose as the ministry leader whether large group or small group is more important. You will program for one better than the other, you will put more time and effort into one rather than the other. 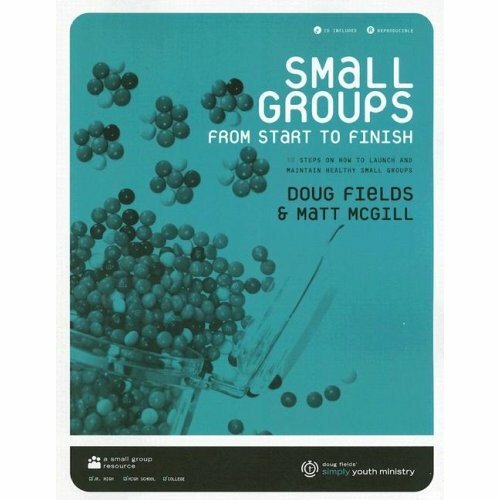 It may be time for you to re-evaluate your priority of large group vs. small group. I’ve got more to say about this in my next post and announce the winner. I love what the ReThink groups states: Love over time matters. If that’s the case, here is what I would say to all the youth pastors out there, “QUIT TAKING ALL THE TIME.” If you have an opportunity to put another leader in the spotlight, do it. Make small groups a reality. With our student programs being scheduled to include both large group and small group time, the large group time can easily trump the small group time–but it shouldn’t. The large group time has many moving elements–games, announcements, message and worship. Just because it has more moving parts, doesn’t give it a more dominant position. When we weigh the importance of small group time vs. large group time, the actual amount of time given is your measurement. Small group leaders need time to build trust. When trust is built then students open up and relationships happen. Relationships matter the most. Relationships are the glue of our ministry. I have been guilty of hijacking the time of my small group leaders during our large group time. Leaving your leaders just enough time to get into a quick discussion before closing in prayer is like giving them a cake and not enough time to eat it. The guest group. WIN! WIN! WIN! The picture you see here was our guest group last week. At our program we always start as a large group and then break out into small groups. When everyone breaks for small groups, we invite all guests and the friend that brought them to hang around for the guest group. We make it special, offering ice cream… what would you do for a Klondike bar? Go to guest group! After the guest attends the guest group at least twice, and they want to continue showing up to the program, I transition them into a small group. This will eliminate those who just visit once or are unsure if they want to participate in your church program. It is difficult for the small group leaders to gain traction when new students are popping in all the time. Here’s the other really cool part, I encourage the student pastor to host the guest group. I get to meet every student that comes through the door this way, they hear our vision for them being here, and they don’t feel invisible or glanced over! WIN! WIN! WIN! I host the guest group in the large group space. This eliminates transition time or having your guest adjust to another room or setting. Asking easy generic questions is the way to go. Keep things surface level, share the vision of your ministry and what you hope to offer them, perhaps ask one or two questions pertaining to the message. What do you offer your guests? Your blueprint for student ministry. By no means do I have the perfect student ministry, nor do I believe it exists. Each and every student pastor that is honest will say, “We have strengths and weaknesses.” I do believe there is a difference between an average operation and one that is really firing on all cylinders. The reason being is because the ministry leaders are working off a blueprint that has been set before them. Whether you are in student ministry or not, I hope you are working off some kind of blueprint or plan in the project you have ahead of you. A blueprint keeps you on task, the must have factors, measurements, desired outcomes, it’s all there. If you are ever lost, just check the blueprint. At Gateway Church we have a fairly simple blueprint in place for our student ministry. I believe a ministry designed the way we have it can work fairly well, we just need to stay committed to it and see it come to fruition. Like many other larger student ministries, we are somewhat of a small church plant. We have 3 programs to execute every week, a student band to improve, budgets to run, camps to plan, mission trips, volunteers to recruit, families to partner with… and the list goes on. But what does all of this amount to? How can we physically see it happening year in and out? What are we building? We are building up a generation of students who will own their faith and make it known to others wherever they go in life. I have faith, that through this blueprint, we are equipping the next generation of both the churched and unchurched in what it means to accept God’s love on a daily basis. Not only identifying that relationship but also accepting the challenge to take it into their world and share it with others. Large Group. The weekly hangout. This involves a somewhat non-threatening environment to bring a friend to play some games, hear some music, listen to some funny stories, hear from the Word of God. Small Groups. This happens every week directly following large group. Everything we do points back to connecting our students faith to an authentic community of peers around them. Students and adults they can explore doubts, ask questions, be real. Winter Camp. Camp is full weekend of small group time. Long retreat time into teaching, personal reflection, worship…but also tons of FUN. Camp makes memories for our students, we get to help them make positive memories of their relationship with God and the church. A weekend camp vs. a summer camp allows more student participation (it’s cheaper) and more adult leader participation (don’t have to take off work). GO! Teams. Our mission trips can be life changing moments for our students. Both those near and far from God come back from GO! Teams with new world views and a better understanding of how God’s love permeates the most unimaginable lifestyles and deepest needs. All of this may sound familiar, because many churches take this same blueprint or concept and add a few tweaks to make it their own. What does your blueprint look like? What works well for you? As stated in my previous post about Young Life and my desire to partner with them… I had texted a few of their leaders yesterday and one responded by saying he was attending our churches baptism last night. Arriving at church I was introduced by one of my students to the local high school’s YL leader. We chatted for a bit and then discovered that we together were baptizing the same student! It was beautiful picture of the church and campus ministry partnering together to invest in the life of the next generation. Our students need more than one positive influence and voice in their life. How can you cheer on those other positive voices that are outside your own independent church. I hope to see this happen many more times in “our” ministry together reaching students for Jesus. What’s holding you back? How can you partner with your local school’s campus ministries. Do you have similar experiences to share? 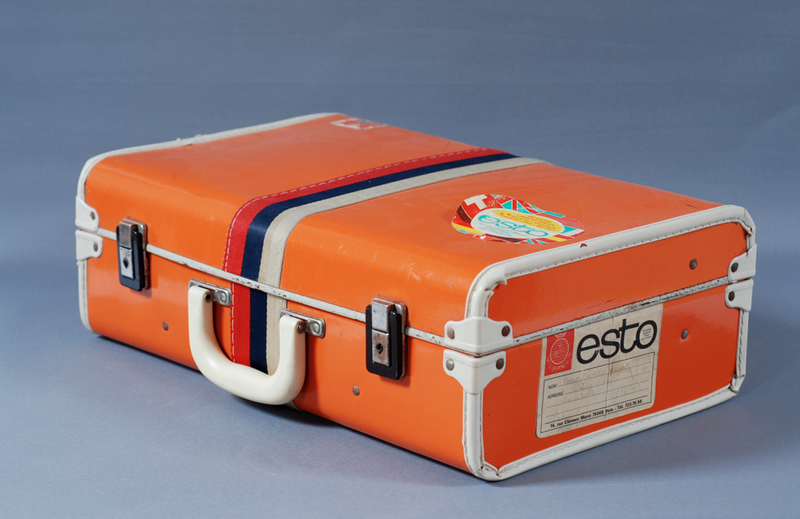 Packin’ my bags for OC 2013! “What if church leaders and parents synchronized their efforts to fuel wonder, discovery and passion in the next generation?” By combining the critical influences of the light of the church (yellow) and the love of the family (red) the Orange Strategy shows a generation who God is more effectively than either could alone. I am constantly convicted that as student pastors we must aim at equipping, empowering and hold accountable our parent relationships. There is no doubt that the best disciple of the student can be mom or dad, but without encouragement, training and partnering with the local church, how effective can the family be? I know there can be a lot of tension around this conversation, but what I am seriously pumped up about is that Orange is tackling this conversation from multiple angles – small groups, age-appropriate questions, stuff for at home, equipping volunteers and lay-leaders in the church, etc. After having met the HS pastor for Northpoint (Kevin Ragsdale) at the Orange Tour in Dallas, I am really excited about the kind of ministry he is running in Atlanta. I love large-group environments that funnel into small-groups later in the program. This is a huge win for both students and leaders alike. I’m checking out his ministry this Sunday and hope to learn some new things that could be implemented where I am currently doing ministry. 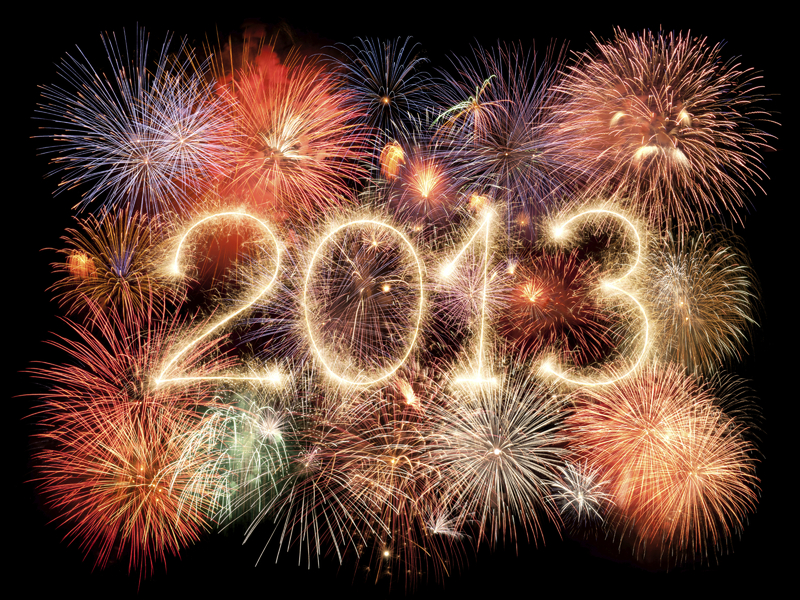 What else am I looking forward to at Orange 2013? Meeting up with old friends and making new ones. If you are headed to Atlanta too, I’d love to get together for a meal or coffee and talk shop! Contact me and we can set up a time. I think one night I will need to go and see Oblivion, can’t wait, the movie trailers are a tease!